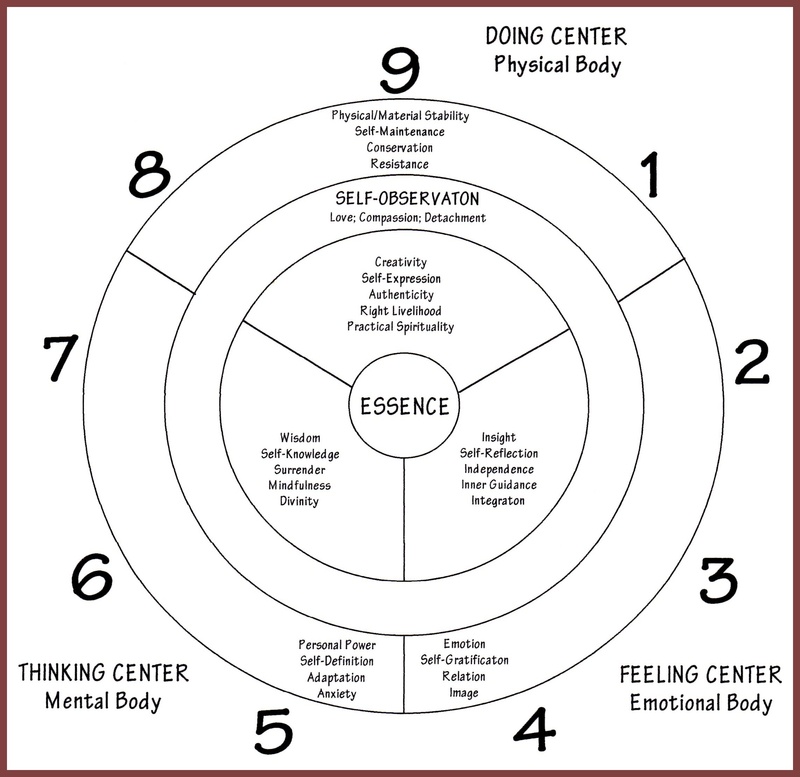 Here’s a visual diagram of the layers of the “self.” Each center has lower level and higher level concerns. The attributes listed in the top triangle refer to the lower (outer) and higher (inner) concerns of the Doing center. Those listed in the triangle on the left refer to the Thinking center. And those in the triangle on the right all refer to the Feeling Center. For example, physical/material stability is a concern of the lower (compulsive) level of the Doing center, while creativity and right livelihood are expressions of the higher level of that center. The closer you get to the center (ESSENCE), the less you are operating on autopilot. We can continue to go around and around within the first circle from our HOME point to our STRESS point to our SECURITY point in whatever sequence we choose. But we won’t be doing anything more than spinning; we’ll still be stuck in our compulsions. It takes a commitment to SELF-OBSERVATION to stop spinning.